Would it excite you to know that the top-rung Fiverr Psychic and Tarot Reading Freelancers are pulling in six-figures a year? If you want to set up your work-at-home business on this platform follow this process to get the best shot at long term success. Are you stuck in the idea stage of posting your Psychic or Tarot reading gigs on Fiverr? Are you concerned that Fiverr may not be legitimate? Are you worried about devaluing your work at $5.00 a pop? If so, sounds like you could use some dynamite advice! Fiverr is a legit online marketplace, which ranks at #242* in the top websites in the US and #328* globally for the most web traffic. *The site with the highest combination of visitors and pageviews is ranked #1 You can check today's rank here. Fiverr’s concept is not about selling your good stuff on the cheap. You just need to learn upselling aka Gig Extras or add-ons, which permit you to establish fair prices for your services. Action Step: Browse fiverr.com for existing Psychics and Tarot readers, paying particular attention to pricing. Note descriptions and prices for their ‘packages’. For example, a one question psychic reading is typically priced at $5.00. For a Standard 10 card Celtic Cross Tarot reading, prices vary from $15.00 - $40.00. The one question tarot and psychic readings make-up their basic packages, which has its advantages. Basic gigs are comparative to loss-leaders in the retail industry. Where supermarkets might feature products at ½ price or buy one, get one free as loss-leaders, you will answer one question on a specific topic for five bucks. Do you have a burning question about your finances? I will read one Tarot card and provide valuable insights and guidance regarding your concern. Action Step: Write gig descriptions, focusing on your areas of expertise, such as: love, money, health, career, etc. And your way of reading such as tarot, psychic, mediumship, spirit guide channeling, angel card reading, palm reading, etc. Later you can add-on descriptions for Premium and Standard readings. Dynamite Advice: Remember nesting dolls where the tiny doll is inside a bigger doll, inside an even bigger doll and so on to the biggest? As a beginner, think of yourself as the tiniest fiverr psychic and tarot reading freelancer who only provides services to a few clients. Set big goals and grow exponentially. Well, you have to start somewhere. The idea is to build your brand on Fiverr by getting noticed. Without giving away the store, basic readings will show clients that you know your stuff. A happy client keeps coming back. Satisfied clients recommend you to their friends. You’ll start getting link-love too. Dynamite Advice: In the corporate environment, beginners are advised to dress up. Or dress as if you were already on the next level. For instance, a receptionist wearing a suit will get promoted before her co-worker wearing jeans. As a Psychic or Tarot reader – the corporate example translates to - give it your ALL. Don’t focus on the few shekels you are earning at present. Do provide quality work, as if you were making $100 a reading. Fiverr Psychic and Tarot Reading Gigs Noticed. Slip into the buyer’s moccasins for a moment. Visualize looking at hundreds of psychic, spiritual healing and tarot reading gigs and getting more and more confused. Aha! Here’s one that looks promising. Now, what is the first thing you would explore before clicking that ‘purchase’ button? If you answered ‘profile’ - take one step up the ladder - after you craft your awesome profile of course. Potential buyers on Fiverr want to know who you are and what your psychic skills include and why you are the crème de la crème of Fiverr Psychics and Tarot Readers. Therefore, your immediate task is to craft a profile that will entice clients to give you a chance. Your killer profile is an opportunity to make the best, first impression on potential clients and gain a competitive edge. While it's tempting to simply copy the best profiles of successful Fiverr psychic readers. Don’t do that! On an energetic level you mess with the mystical. It is plagiarism, there's no need to pull negative energy to your psychic or tarot freelancing business. Finally, add a profile picture of you looking all psychic and mystical. Potential clients shy away from gigs without profile pictures. Old farmers knew how balky their mule could be and for incentive, they dangled a carrot in front of the mule, just out of his reach. 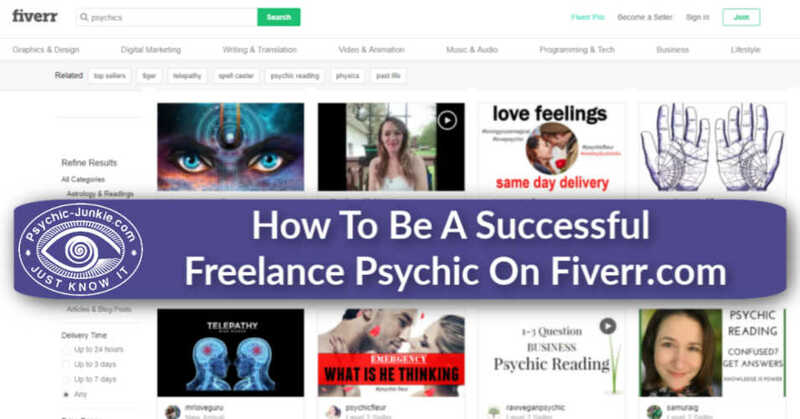 That premise pretty well sums-up your long-term goal – to get accepted as a Fiverr Pro psychic. Fiverr Pro was introduced because “buyers want the very best”. This honor doesn’t just come to you. After getting a respectable number of gigs and great reviews, complete the intricate application (perspiration involved), and wait for Fiverr’s assessment. Approval entitles you to post Pro Gigs. Pro Gigs are identified by a Pro badge. Potential clients are comfortable you’re one of the best psychics or tarot readers at Fiverr. Attaining that coveted Pro Badge proves that, indeed, you are the crème de la crème of high fiverr psychic and tarot reading freelancers. Whether you peddle pet monkeys or psychic wares, it’s all in the numbers. Fiverr bases a big portion of ranking on the number of your 5-star reviews. At first buyers will trickle in. Give each of them your personal best, appreciate their business and you’ll start earning positive reviews. Don’t spend negative energy worrying about who’s on top. 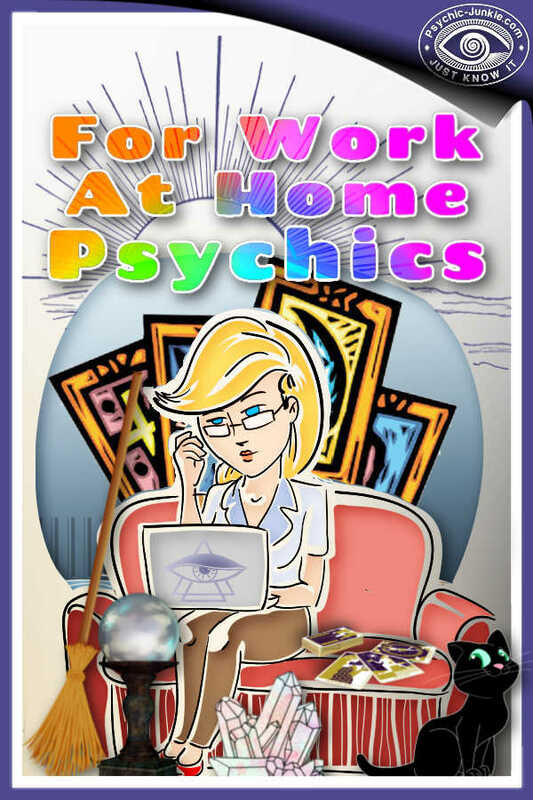 Instead, take care of your own, work from home, Fiverr psychic reading business. When you are all set up you will want to share your gigs around the web as much as possible. There are links to share your gig on the main social channels so post to the ones you use to drive your target audience to your Fiverr gigs. Create a website to use solely for promoting your Fiverr Psychic presence. 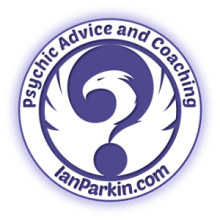 I can even include a link to your gigs if you take the time to write a good Psychic Guest Post. Don’t give in to temptation and buy fake orders/reviews. If Karma doesn't catch you Fiverr will and your ranking will plummet. So now go take a look through the psychic realms on Fiverr. Get inspired by the leading experts, read their profiles, check reviews. Heck get a reading if you feel a good vibe with one of them. If your area is a specialty like Tarot, Mediumship, Akashic Records etc you can use Fiverr's search box with the relevant keyword.